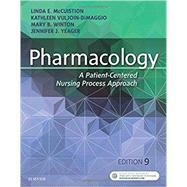 by McCuistion, Linda E., Ph.D.; Vuljoin-DiMaggio, Kathleen, R.N. ; Winton, Mary B., Ph.D., R.N. ; Yeager, Jennifer J., Ph.D., R.N.